Hereford Variations on Sunday, April 28, at 4:00 p.m. 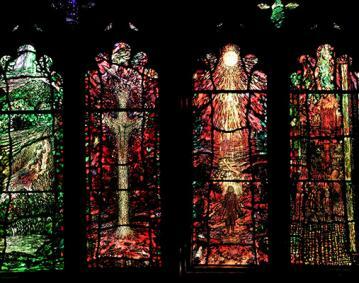 This set of fifteen brief pieces takes listeners on a special Eastertide journey, narrated by the priest and poet Thomas Traherne (1636-1674) as revealed in modern stained glass windows of Hereford Cathedral, England. In the manner of Sir Edward Elgar’s Enigma Variations, each variation also characterizes a friend to whom it is dedicated. In 2015, St. John’s was the last event of a fifteen-stop, fifteen-month tour debuting the Variations; last August, the St. John’s Choir, composer Peter S. Berton and the Professional Choristers of The Choir School of Newport County presented this 40-minute work at Hereford Cathedral itself. 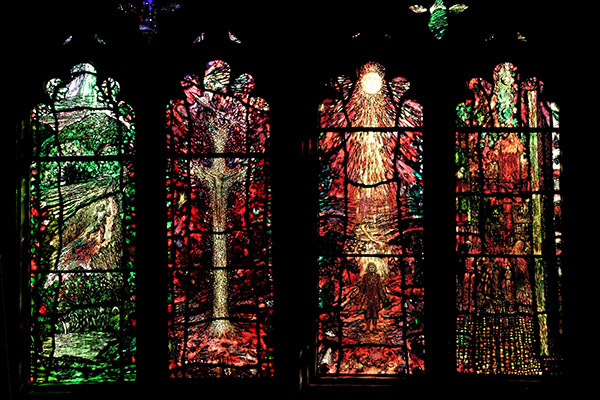 Video projection of the stained glass enhances the music. Reception following. $10 suggested donation benefits the Organ Fund.